XW566 was the British Jaguar B prototype (B.08, the last prototype Jaguar built) and carried out training evaluation and nav/attack system trials. First flown on 30th August 1971, her development career was over by 1982 and she was transferred to the Royal Aeronautical Establishment at Farnborough. 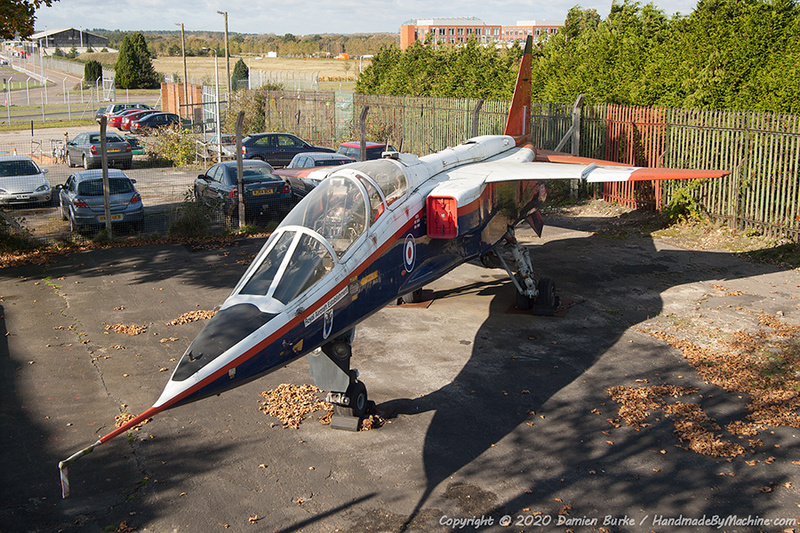 She gained a raspberry ripple paint job and flew with the RAE until 1985, when she was retired to ground trials work. In 2004 FAST acquired her and she is now on display at Farnborough.